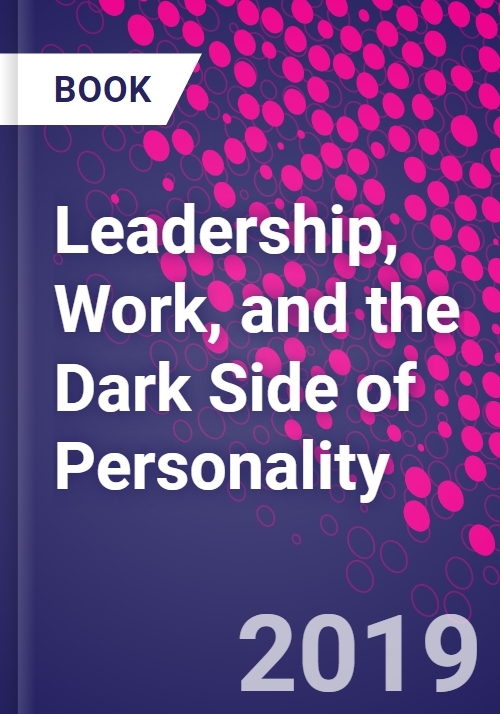 Leadership, Work, and the Dark Side of Personality uses an interpersonal psychological perspective to unite general theories of both personality and leadership. By focusing in on the interpersonal, the book characterizes social behaviors by their agency (how dominant they are) and by their communion (how relational and nurturing they are). It argues that these interpersonal dimensions align closely with the traditional structure of leader behaviors-both task-related and relationship oriented behaviors-and uses those frameworks to orient trait theory for both normal-range personality traits and subclinical (dark side) traits. After overviewing the history of leadership theory, reviewing normal range personality traits (Extraversion, Neuroticism, Conscientiousness, Agreeableness and Openness) and subclinical traits, such as the Dark Triad (Narcissism, Machiavellianism and Psychopathy), the book moves on to thoroughly bring the perspective of interpersonal psychology to bear on questions of personality and leadership, and ends by narrowing in on how the dark side of personality affects the leadership process-for better and for worse. Seth M. Spain received his Ph.D. in Industrial and Organizational Psychology from the University of Illinois, Urbana-Champaign. He was a post-doctoral researcher in the College of Business Administration at the University of Nebraska, Lincoln. He taught in the School of Management at Binghamton University for several years before moving to Montréal, where he now serves as an assistant professor of Organizational Behavior and Human Resources in the John Molson School of Business at Concordia University. His research has appeared in a variety of scholarly journals, including Psychological Review, Journal of Personality and Social Psychology, and The Leadership Quarterly. His research has been featured by the Wall Street Journal, cnn.com, and Time.com. He has appeared on television and radio in the United States to discuss his work, including CBS This Morning and National Public Radio's On point with Tom Ashbrook. Aside from trying to spend quality time with his wife and twin daughters, he enjoys politics, poetry, philosophy, and the occasional run.